There are many people on healthy and weight loss diets who believe that, by going organic, it will provide them with more nutrients than conventionally produced food and that it tastes better and is free from harmful chemicals. How true is this? Recent research in America has concluded that, apart from organic milk and tomatoes, there is nothing to be gained by eating organically produced foods over non-organically produced foods. They say that the health benefits of eating organically produced food over conventionally produced food are negligible and doesn’t warrant the increased cost of organically produced food, which can be as high as 100% for some foods. Also that there is no conclusive or direct evidence that it tastes better than conventionally produced food. Has any other research been carried out to support these findings? Yes, there has. An analysis of over 200 studies on the benefits of eating organic carried out recently concluded that there was no strong evidence that eating organically grown food was any more beneficial to health than conventionally grown foods. These finding are supported by many other studies of organically produced/conventionally produced foods but most of them do agree that organically grown food is lower in pesticides and cadmium and higher in antioxidants then conventionally grown foods although any pesticides and cadmium found in either is well below the safety level. These contaminants can be reduced further by peeling or scrubbing as required and washing thoroughly before cooking or eating raw. Don’t overcook vegetables, steaming is always preferable to boiling, as boiling will reduce the amount of antioxidants and nutrients. Although the move to organic farming started early in the twentieth century, as far as I can determine, there has never been any studies as to the long-term health benefits of eating organic. I wonder why! 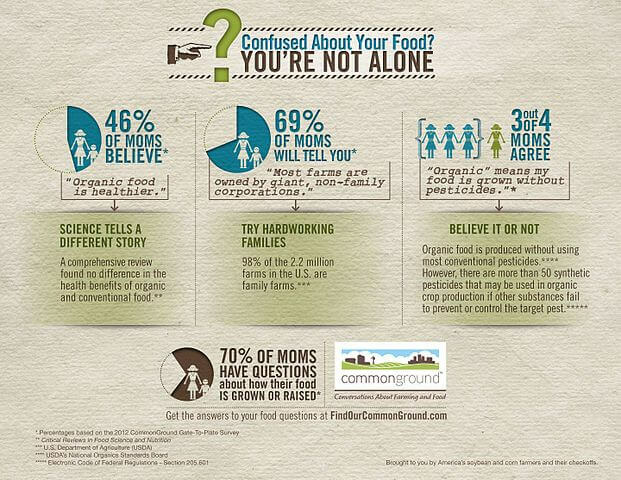 how does the pro-Organic lobby reply to these findings? An in-depth review of 343 food studies by Newcastle University in the UK using meta analysis, an advanced statistical technique, and published in the prestigious British Journal of Nutrition, found what most nutritionists and health experts already agree that organic food is higher in antioxidants and lower in pesticides than non-organic. What the study found and does confirm, quite convincingly, is that organically produced foods contain considerably lower amounts of toxic heavy metals such as cadmium, which can be responsible for multiple organ damage, many forms of cancers, and have detrimental effect on the brain and central nervous system. It also found elements such as nitrogen are higher in conventionally produced food and it is now thought that diseases such as Alzheimer’s, diabetes, and Parkinson’s disease, are linked to dangerous levels of nitrates from the overuse of nitrogen fertilizers. What the report doesn’t substantiate or offer though, is any proven evidence that long-term consumption of organically produced food is any more healthy than conventionally produced food, although Professor Leifert, one of the authors of the review, does say that there is an urgent need to carry out dietary studies specifically designed to identify and quantify the health impacts of switching to organically produced food. Organically produced or conventionally produced? As always the choice is up to the individual and whatever they feel comfortable with, although if you do decide to go organic be prepared for a dramatic rise in your weekly food bill. In part 2 of Organic or Non-Organic? 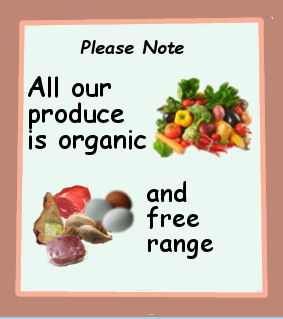 I explain what would be my main reason if I ever considered changing to organic food. We will also take a look at what exactly are antioxidants, free radicals and pesticides. It is definitely a personal choice for me to choose organic over conventional. It is pesticides that I object to eating in my food if I can help it as well buying organic rules out GMO product which I knowingly avoid as well (not always possible when eating out). I do however take into consideration cost and the dirty dozen/clean 15 when making this decision. Things with a thick skin typically you do not need to buy organic. Apples and berries I choose organic every time. You might say that you can peel these fruits or veggies, but test have been done showing that pesticides make its way right through the skin into the flesh of the fruit/veggies. This is the case with apples. You are right everyone has to ask themselves is the extra cost something they are willing to pay. Organic apples in my area is $1 more per weight than conventional, not that much more. Pesticides add up to toxic overload unless you are an extremely healthy individual, exercising and detoxing regularly which most of us are not. We are not detoxing these pesticides nearly fast enough as we are accumulating them. Hi Pat, thanks for the comment, much appreciated. 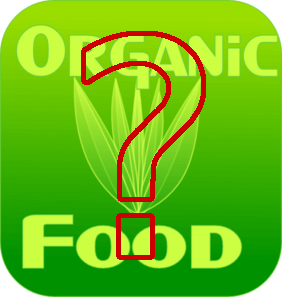 There are still many unanswered questions about organic produce that have not been answered by the pro-organic lobby and there is no guarantee that organic produce is entirely pesticide free, although it is accepted that, in the majority of cases, it is lower than conventional produce, but even this is well below the safety levels set. Also it has been found that organic crops grown in soil that has been spread with animal manure can contain bacteria harmful to humans, this has never been published by the pro-organic lobby. As far as I know, there has been no long-term trials that substantiate eating organic is any healthier than eating conventionally produced food.